We had a bad start to the week yesterday when I woke Harry up at 7 for school only to be told it was the Easter holidays and he didn't have to get up at all. I felt awful lol!!! I'd completely forgotten and was in GET UP GET UP its Monday mode. He got to have a lovely lie in this morning……. 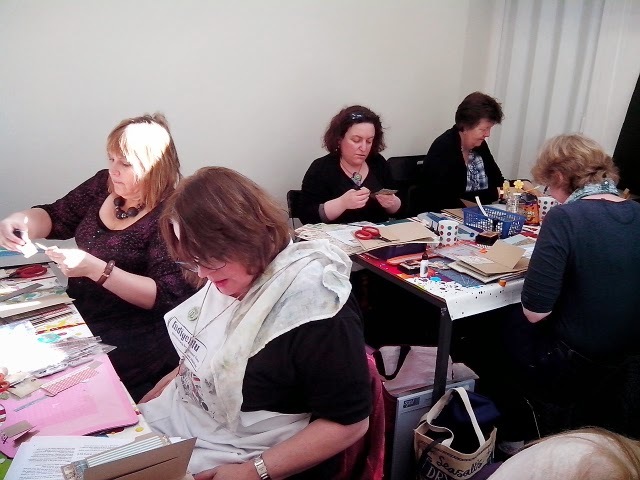 I had a great time with Wendy and her ladies at the Stamp Attic on Sunday making one of my little junque journals. Thanks Wendy for a great day, lovely lunch and our little table gifts too. Here's a few pics. 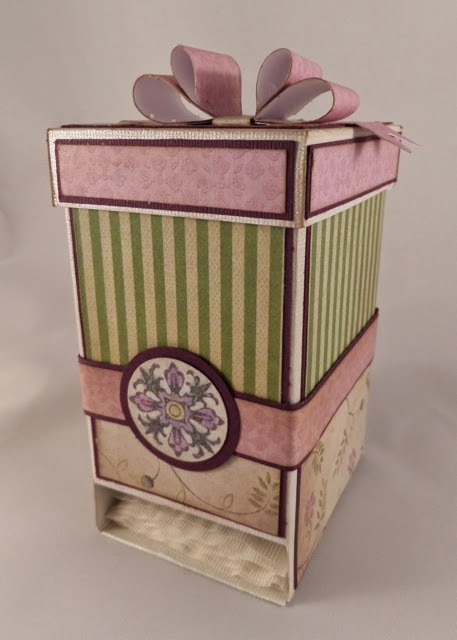 The little tea bag box above was made from card stock and papers from the DCWV Chateau Lavender stack, one of the samples I'd made for the Create and Craft show last Friday. 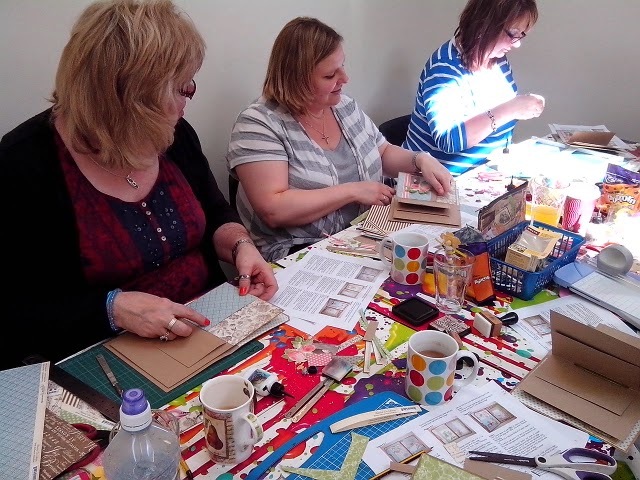 I love the colour combinations in the paper stack, which were perfect for this little project full of herbal tea bags. 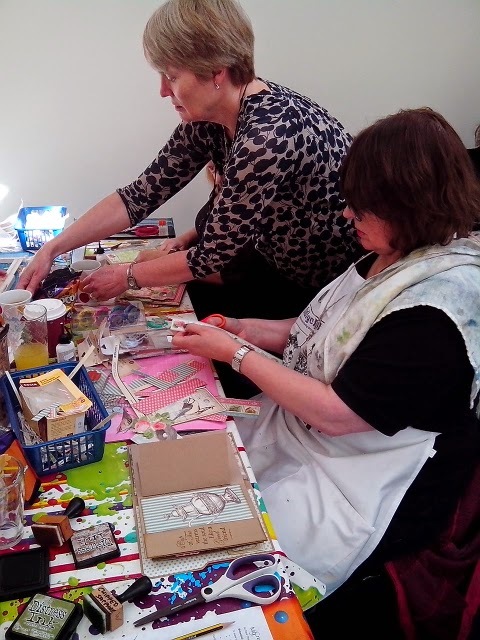 They're really easy to make and make lovely gifts too. 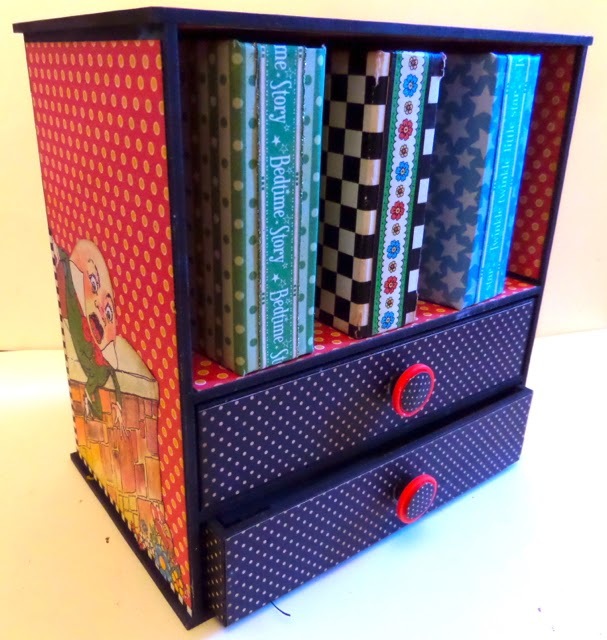 We have some new MDF blanks for sale and two kits to make this adorable little Mini Album and Drawer Cabinet by Candy Box Crafts. 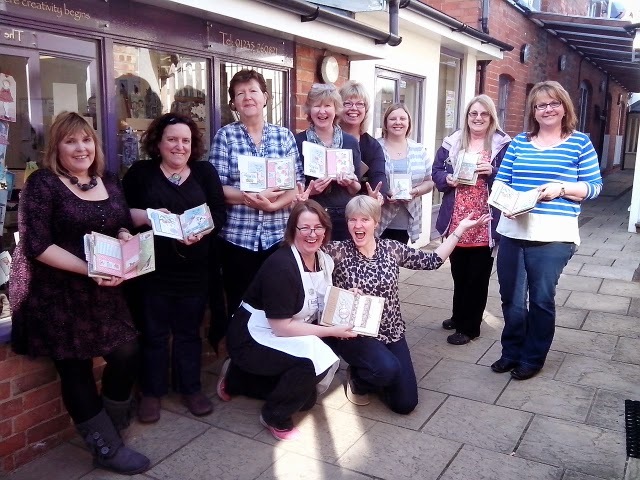 Morning Clare, Fabulous piccies today, lovely tea bag box, gorgeous colours. Poor Harry, but easily done haha !! I've done the exact same thing with my hubby on a 'Saturday' morning, only to realise it's 'Saturday' haha !! The box is really pretty Clare and what a lovely gift it would make!!! Just tell Harry it is payback time for all the wee hours of the morning when you had to get up to feed him when he was a baby! !